We had unseasonal fierce, hot winds and temperatures last week and a few of my stock plants were scorched badly. A couple of pots had become non-wetting so that when I watered the water passed straight through the pot in channels and also ran down the sides between the pot and mix. This water repelling can be treated with a soil wetter and I used a granular one which has been very effective. However, in ‘Gardening Down Under’, Kevin suggests that potting mixes are designed to be used in pots to 125mm across and that clean soil should be used in tubs 225mm and larger. I have been thinking about this. I have a load of sandy loam and I think I will try a 50:50 mix of loam and potting mix in the large pots. This way I will still get reasonable drainage and water retention. It won’t stop the pots from heating up. I will need another strategy for that. The other problem is the weight of the pot. At least I will not be wanting to move them often. The plant in the photo is one of the forms of this Feather Flower. These are sought after by florists. I have never been game to try them in the ground here, as in the wild they grow in fairly deep sand. This would give them very good drainage. Whether the sandy loam/potting mix mixture would work for them is debatable. I want to make a raised bed to try them as well. This deep blue flowering plant gives a stunning display during the summer. The flower is actually blue. This is a suckering plant often seen on the road sides around here where it has escaped the grader blades. It creeps underground and sends up clumping suckers a little way from the parent plant. Harsh cutting to rejuvenate the plant will result in suckering. 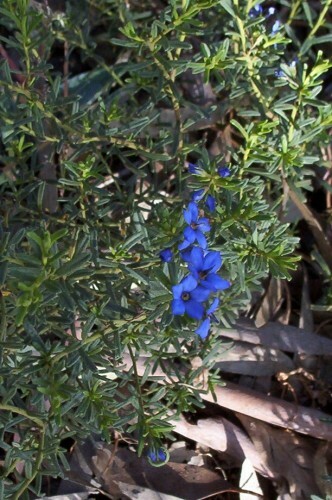 This plant is widespread in Australia, in fact everywhere except Tasmania. It does not like extended periods of humidity and needs to be grown in the open in cool climate regions. It is suited to semi-arid and temperate regions. They need reasonable drainage and do appreciate some extra water in our area of 340mm (13.25inches) rain. 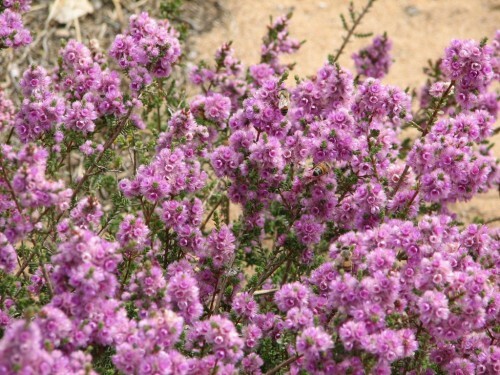 This plant is hardy to moderately heavy frosts and extended dry periods. I find this extremely difficult to photograph because of the intense blue of the flowers. 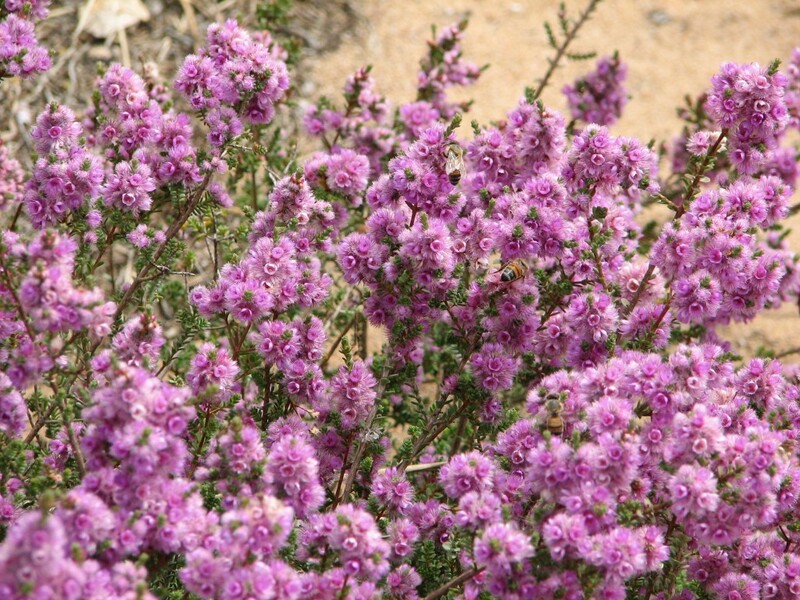 You are currently browsing the archives for the More Native Shrubs category.